We begin this week with a forewarning to exercise caution and care as we move forward. 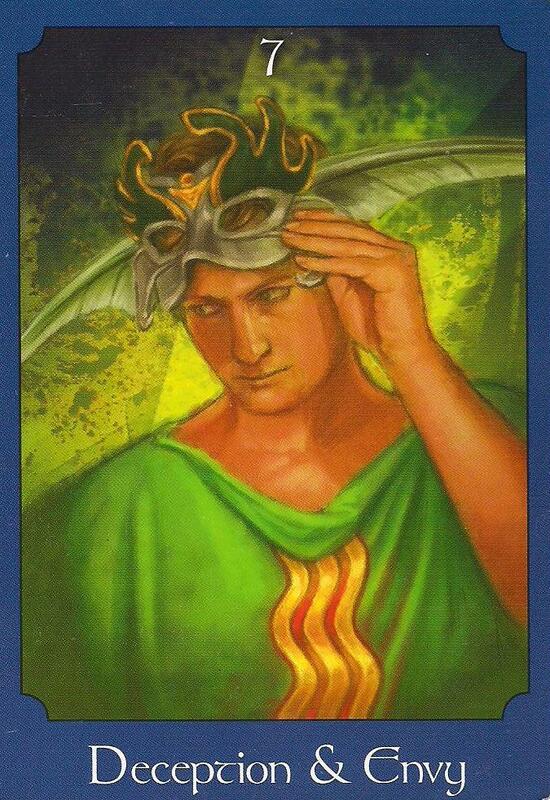 The Deception & Envy card carries a few meanings that may pertain to you, but the root issue is the same: it’s time to take off the mask that has been clouding your vision around an issue and look it squarely in the face. Things are definitely not as they seem, whether it’s because someone else is deceiving you or because a situation has turned bad, and somewhere inside of you, you know this to be true. Oftentimes, we allow our desires and our sense of goodwill to cloud our perception of a person or situation. This card is pushing you to get real with respect to it. Trust your inner knowing, remove the blinders, and revise your action plan. In order to get your desired outcome, it is necessary to be open, honest, and bold with respect to yourself and others. Trust that you are more than ready to move forward! 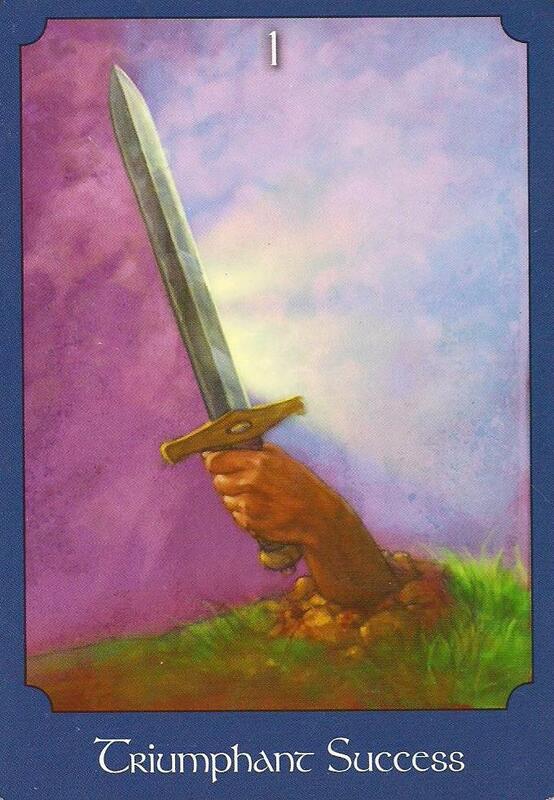 The Spiritual Strength card comes through to show you that you have earned and garnered the tools and the fortitude necessary to move forward powerfully along your path. Know that as you let go of one thing, you make room for another. If you manage to do that with consciousness and love, then what you create space for will show up in beautiful and moving ways. You have been through a lot on this journey, and through it all you have created stability, strength, wisdom, and fortitude. 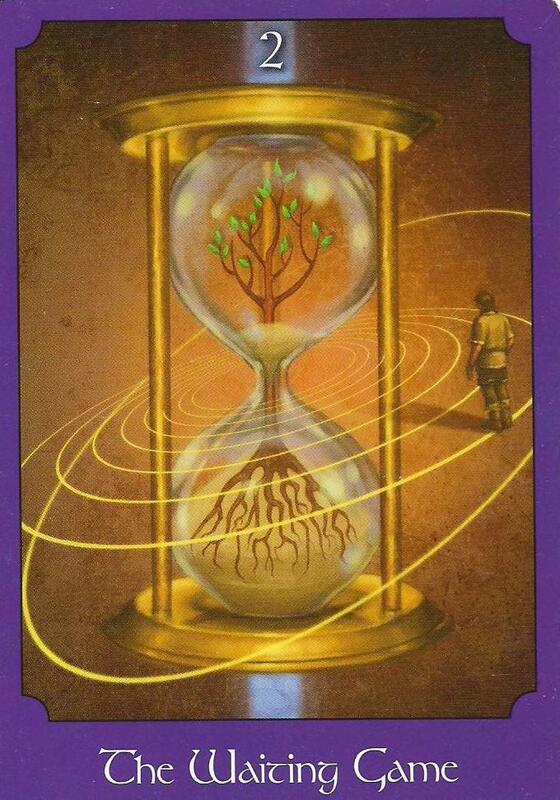 Keep up the good work, and know that although you may not have been expecting this change in plans or to release something important from your life, you have all you need to not just get through this time, but to thrive. And indeed, victory can be yours! Triumphant Success is the reassurance card that if you take the necessary steps to look at what is really going on and adjust accordingly, situations that have been feelings stuck or not healthy will begin to move forward quickly and successfully. This card bodes well for new beginnings and dramatic changes in how your life looks if you are willing to cut through the barriers that hold you back. Remember that it is a double-edged sword, though, so in all of your actions, regardless of what they are, be judicious, compassionate, and clear. Regardless of the whats or whys of a situation, it is good practice to live and act with the honor and spirit of a true knight. 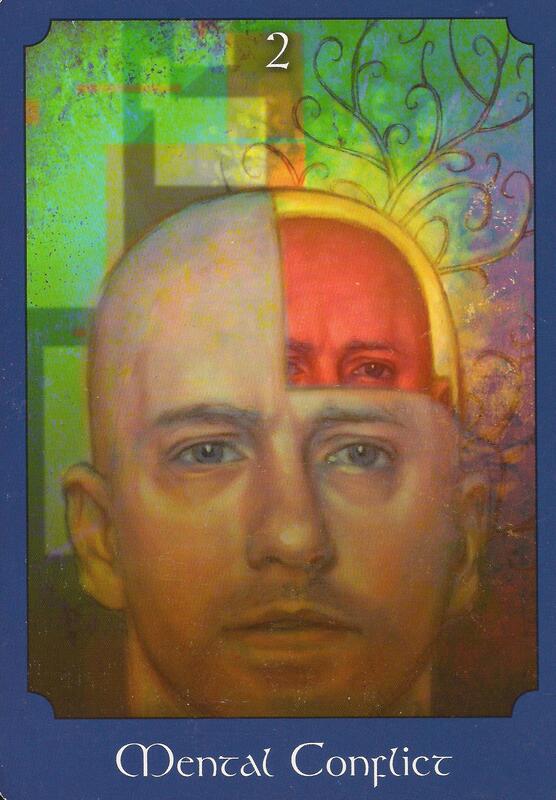 This week’s reading is from The Psychic Tarot by John Holland. Categories: Uncategorized | Tags: Certified Angel Card Reader, John Holland, oracle card reading, psychic readings, Psychic Tarot, weekly card reading | Permalink. 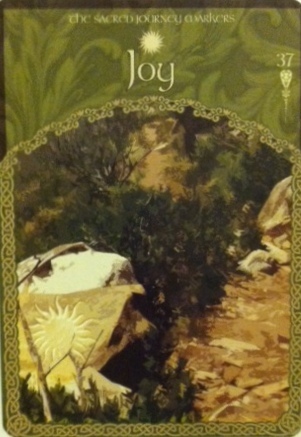 Weekly Card Reading: August 4-10, 2010 – Stay Present, Empowered, and Patient! The past will play a vital role for you in the week ahead. The Memories of Love card shows us that we may be experiencing a sense of nostalgia as we head into the new week, and what we do with that us is up to us. What do these memories mean to us? Do they bring up memories and images of love and sweetness, or do we find that we may be feeling a sense of anger or loss? It is time to balance our emotions, and to examine what we need to do to be able to be in the present more empowered by the effects of the past than burdened by them. Remembrance can provide us with powerful insight into our current motivations: Do you choose to suffer or do you opt for gratitude and love? Find the light in the situation, and choose to keep that ignited while letting go of the aspects that no longer serve you. 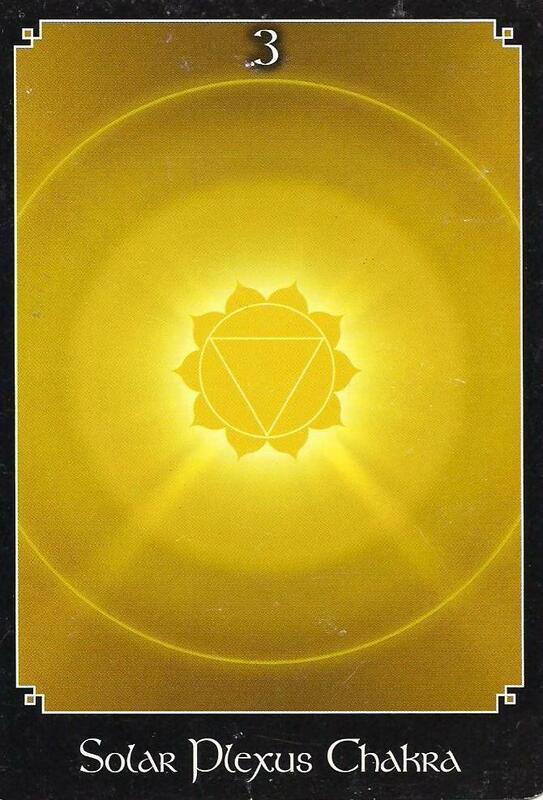 The Solar Plexus Chakra is our energetic center responsible for our sense of power and will, and how we express those characteristics out in the physical world. How are you showing up for your life? Are you feeling confident and empowered? Or are you struggling to move forward? If you find yourself doubting your achievements and abilities, take some time to engage in activities that can help to strengthen this center. You may want to try a martial arts class or yoga, and a breathing meditation can help you to drop into the solar plexus so that you may feel more connected to your body and emotions. A weakened solar plexus can leave you feeling drained and lacking in vitality and you may have trouble trusting your gut feelings. When this area is compromised, it is difficult to feel success and move forward with your dreams. It is important that we feel strength in our core center and that we not get bogged down with the past so that we can stay focused on the positive right now. We have been planting a lot of seeds and we may think that it is time to start harvesting them. In many ways, we are ready! Only sometimes our timing isn’t necessarily divine timing. We may find that we feel as though all the hard work we’ve been putting in is not paying off. This is a time to trust! The Waiting Game illustrates that we may feel like we are pacing in circles, and we may be tempted to slide into a space of fear (especially if our energy system is weak), but fear will only pull us into a lower vibration that will cause us to begin manifesting what we don’t want. Stay focused, grounded, and in faith. The seeds are close to sprouting and we have to trust that the Divine sees the big picture. 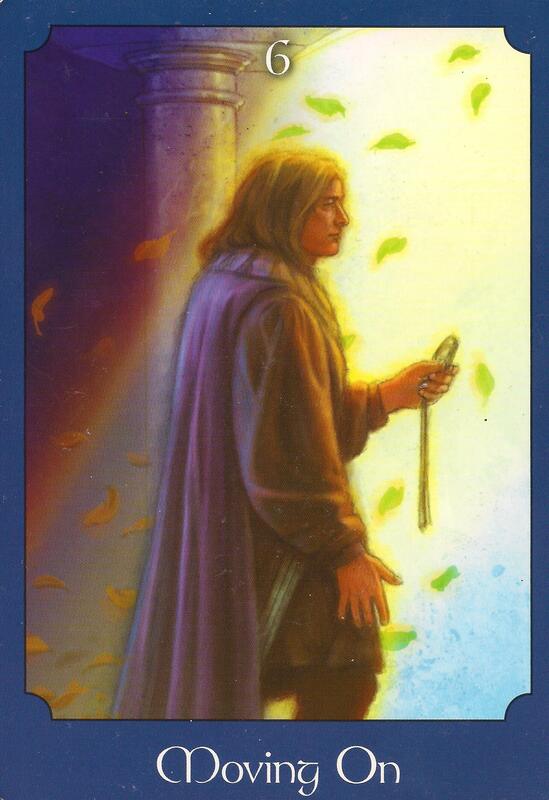 Weekly Card Reading: June 16-22, 2014 – Prepare to Leap! You are entering a period of great potential with respect to defining what you want in your life and then going after it. 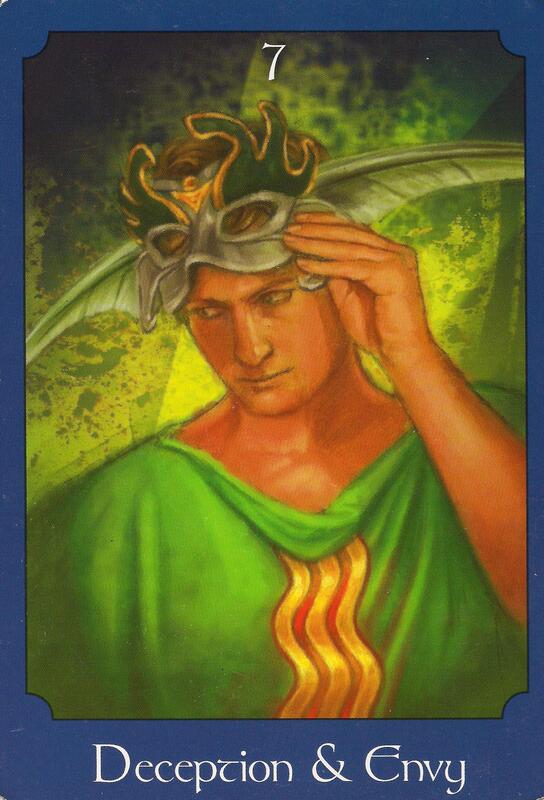 This week’s reading is a variation/continuation of last week’s in which we see ourselves really making great leaps forward. We are still moving within this energy of pure potentiality and it behooves us to take full advantage of it. One highly effective way to do that is through Clarity of Belief. It is time to get even clearer with respect to what we want. This may be with respect to relationships, career, personal growth or all three. Clarity allows for us to claim and embody that which we desire, and through the gaining of it we are able to communicate clearly to Spirit what it is that we want. Without a honed vision, we send mixed messages to the field of potentiality; this leaves us with mixed results, which leads us to feeling stuck and lost. Truly defining our dreams and desires is an act of self-love of the highest order, for it shows us and the Divine that we are ready to really embrace ourselves and our lives. This leads to transformation, an increased capacity for love, and a greater feeling of connectedness to Spirit. The empowerment that naturally occurs as a result of this clarity creates the need for expansion. Spread Your Wings comes to tell you that you are ready. As you focus on defining who you are and what your path is, you will begin to feel uncomfortable in the position that you are currently in – in essence, you outgrow your own skin. It may or may not be a completely new path, but regardless it is an expanded path and it is unfolding before you in ways you most likely never imagined possible. It is time to open yourself completely to the new prospects that are about to present themselves to you and to embrace them fully and passionately. The time for waiting is over! Put down the procrastination cap that you’ve been wearing: All that is needed is a leap of faith. Trust that the Divine supports you. This doesn’t mean that you should quit your job tomorrow and run away to Spain, but it does indicate that it’s time to get serious and start planning. How can you begin to align yourself with your new goals? What do you need to accomplish them? What steps can you take to move forward on this path so that when the time to jump presents itself, you are ready? Taking these steps sends the message out that you are in the process of running towards the cliff, preparing for the big jump ahead. Spirit always supports you in your heart based endeavors so let you heart lead you. This is the beginning of an entirely new or revitalized journey for you. When you take the steps to spread your wings, synchronicity begins to spark all around you. This is the Divine’s way of validating that you are on your path and providing the tools for you to take the leap in full faith. 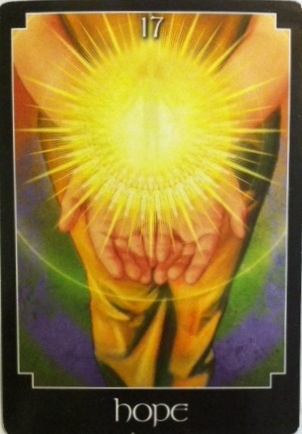 This week’s reading is from John Holland’s Psychic Tarot for the Heart. Categories: Uncategorized | Tags: Certified Angel Card Reader, Clarity of Belief card, John Holland, Psychic Tarot, Spread Your Wings card, Tarot card reading, The Psychic Tarot for the Heart, Trust card, weekly card reading | Permalink. 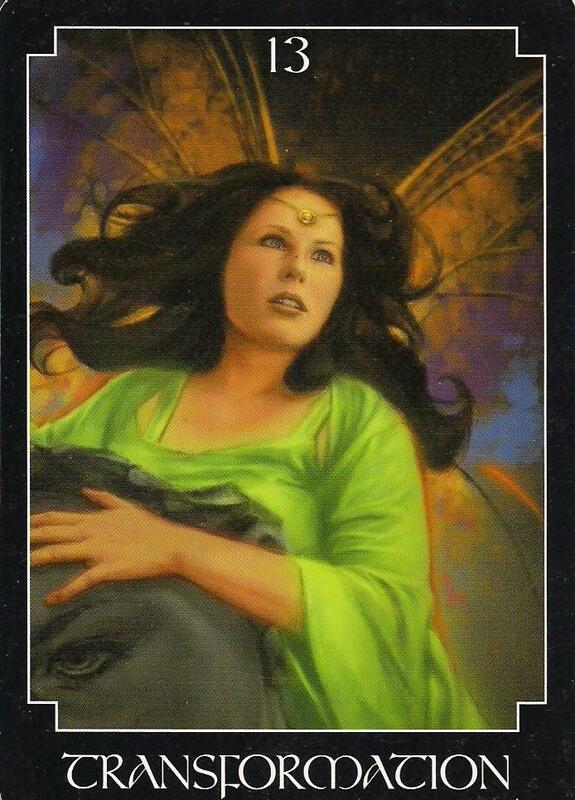 Weekly Card Reading: May 26-June 1, 2014 – Transformation is at Hand! There is the potential for a lot of growth this week! We start with the Spiritual Union card. This shows us that our emotional bonds and relationships are mirrors of who we are. Within every relationship that we hold dear, we can find ourselves and our states reflected back at us. As we grow, it behooves us to step back and examine those relationships every once in a while. Is there an equal exchange of energy involved? Might it be beneficial to give more or to receive more? 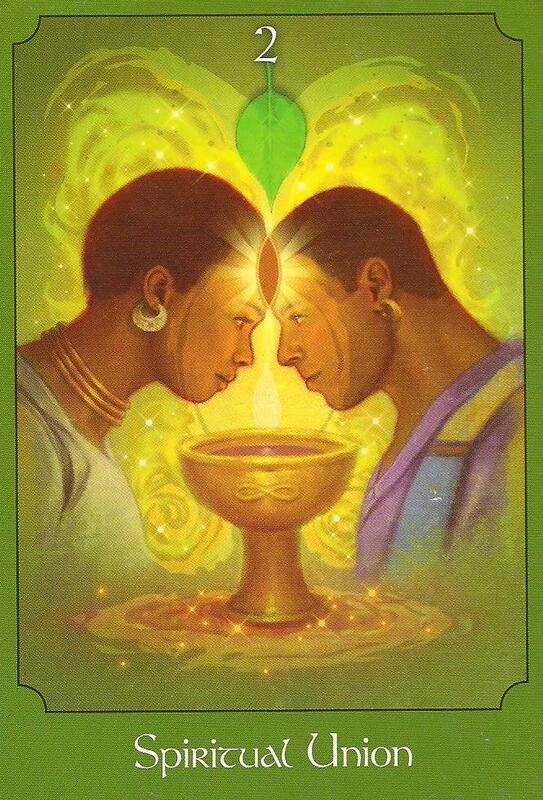 If we have already achieved balance in our primary soul connection, this card may indicate a deepening of intimacy. Take some time to share with your loved ones this week and to listen openly and with curiosity to not just their words, but the unspoken language of their hearts as well. Mid-week we hit a few potential stumbling blocks. Obstacles are often what we make of them. If you feel that there is something blocking you or a conflict that needs to be resolved, step back, detach, and ask yourself how to best handle the situation. Our greatest moments of growth tend to occur after we are challenged in some way. 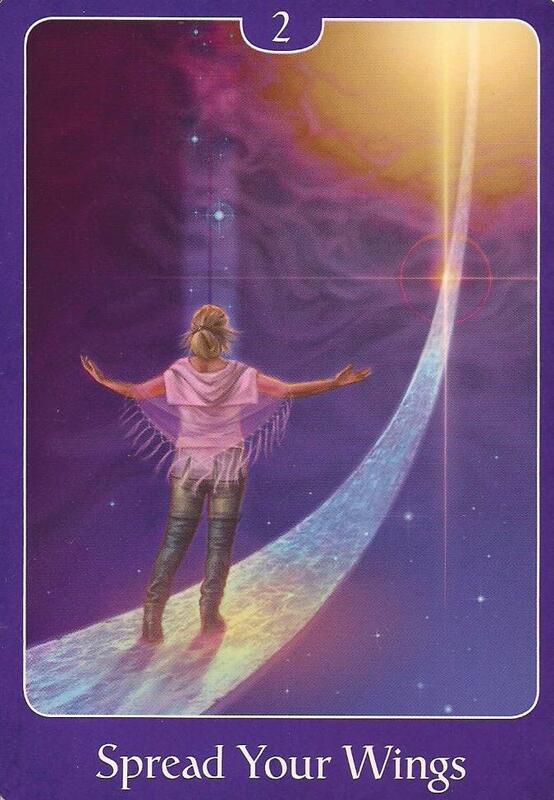 The Obstacles and Challenges card shows us that despite what appears to be a break in the path, we are being guided forth and asked to trust that there is always a resolution to every problem. If you are experiencing some sort of conflict with another, remember that the potential to rise above the issue is strong if you focus on your light. Use your creative energies to find solutions that can provide learning and strength as you move forward. We see the fruits of this immediately with the Transformation card. Rather than remaining mired in drama or turmoil or focusing on the negative aspects of the situation, we have chosen the high road. It is time to leave the past in the past and look forward. This path allows us to remove the mask of ego for the moment and experience the epiphany of growth that comes with that. We are given wings and are ready to take flight. Know that every ending begets a beginning. Transformation reminds us that life is full of change, and part of our job is to learn to flow with that. As we connect more fully with Spirit and ourselves, and as we drop the face of ego, we begin to fulfill our true hearts path. With every death there is rebirth – seize it. Categories: Uncategorized | Tags: Certified Angel Card Reader, John Holland, Obstacles and Challenges card, oracle card reading, Psychic Tarot, Spiritual Union card, Transformation card, weekly oracle card reading | Permalink. 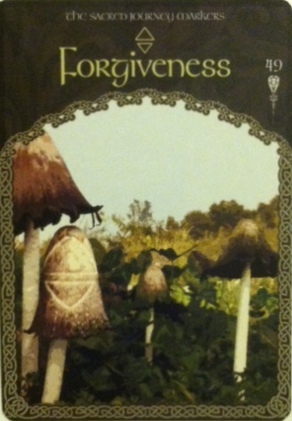 Weekly Card Reading: March 10-16 – Big Change is Underfoot! This is a week for strengthening our career, home, and family lives. We begin the week with Awareness. 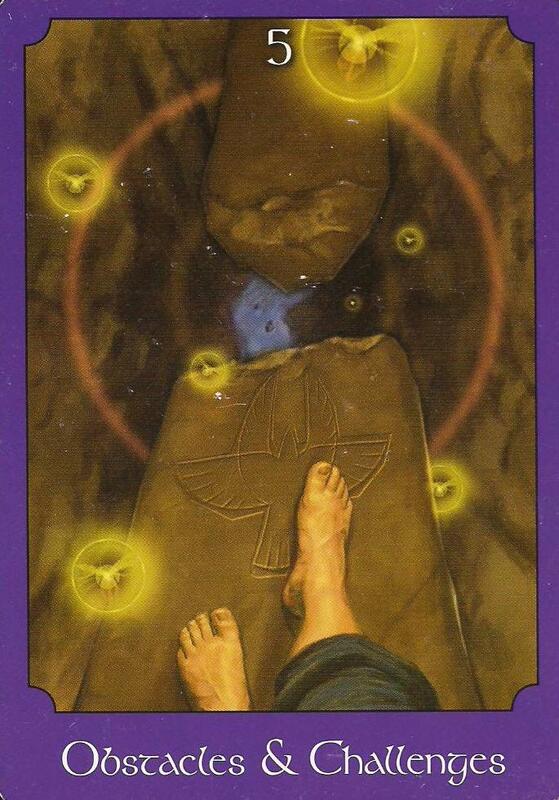 This card shows us that we have all the tools that we need to accomplish our dreams; we just need to know what we desire and then trust that we have the ability to manifest them. This is a time of tremendous and accelerated change for many of us, and the uncertainty of that can often bring about emotions of fear and worry. Spirit wants us to know that TRUST is the key element that can allow us to create powerful transformation from mere change. We are co-creators and by recognizing that we can access all that is necessary for healing, growth, and metamorphosis, we are able to not just envision our dreams, but make them a reality. This is not a time to play it safe or to conform to what others expect from you; tap into your inner child and allow for your innate senses of adventure and curiosity to move you forward. The Base Chakra card shows us that much of what we are assessing right now has to do with issues of family, security, and home. For many of you, this may manifest in a new job or the desire to move or move on from something. In any case, there is a shifting in this area that feels positive and growth producing. To help with this transition, connect in with this energy by doing things that support this chakra. Take time to walk outdoors, dance, or connect with your family and/or tribe. Understanding that security is more a state of mind than anything external can help you to shift anxiety into action. 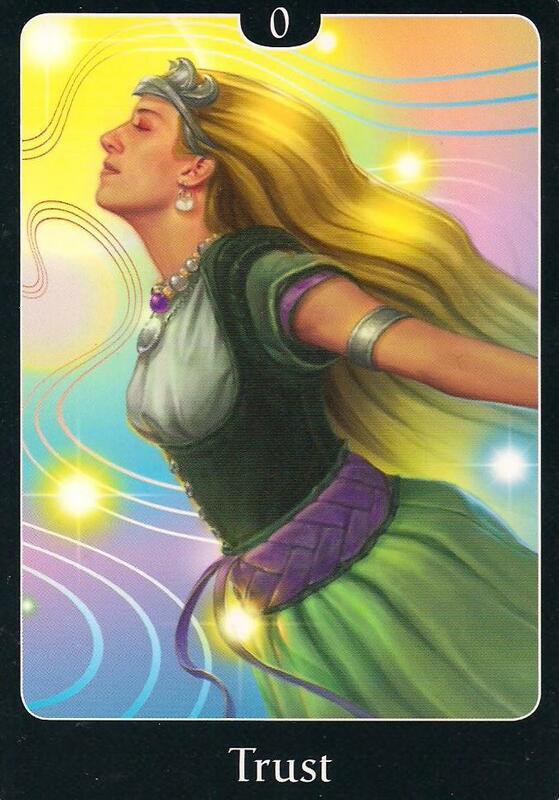 Remember as well the Awareness card and know that you have access to all that you need to create your dreams. Stay grounded and know that the Divine supports you in all your endeavors; all you need to do is stay in faith and take appropriate action. Now may not be the time to play it safe, but allowing for positive and empowered change in your life requires that you take the time to reflect on how to best manifest that. Be willing to be bold, but do not act impetuously; take some time throughout the week to go within and experience the joys of Solitude. Connect with Spirit and with your higher self and allow for your intuition to guide you to the next step. The changes underfoot have the potential to be life changing as we have been doing a lot of work clearing and releasing blocks. Now is the time to get crystal clear on your needs/desires/dreams so that you can reach into your toolbox and know which tools are best able to serve you. Taking moments of quiet reflection enables you to develop a deeper relationship to your higher self and your sixth senses, which will manifest as the ability to better intuitively handle situations when out in the world. This will further reinforce your sense of trust and faith and allow you to remain more centered and grounded so that you can act from a more empowered space. Categories: Uncategorized | Tags: Awareness card, Base chakra card, Certified Angel Card Reader, John Holland, Psychic Tarot, Solitude card, Solitude card, Tarot card reading, weekly card reading, weekly oracle card reading | Permalink. You have a bit of a tough week ahead, but know that you will come out stronger and more self-assured as a result of having taken an important action to clear toxicity from your environment. Before I get into the meat of the reading, we had a card pop out, and its function in this reading is to remind you that as you go through the challenges of the week, you are not alone. 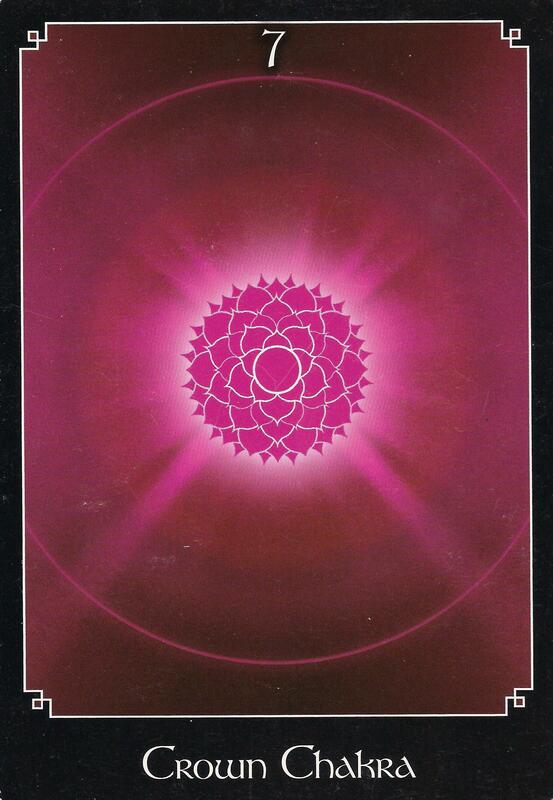 The Crown Chakra card sheds light on your connection with the Divine, and serves as a sort of talisman for the week. As you search for answers, meditate and check in with your intuition. Know that you are divinely supported every step along the way. The beginning of the week forewarns us that things are not as they seem. The Deception & Envy card advises you that it is time to take stock of those that are around you, as someone close to you may be holding information back or manipulating facts. You’ve worked hard to get where you are; be ready to defend what is yours and not let another twist the situation out of your favor. To be forewarned is to be able to take appropriate action. Be diligent and allow for the truth to be revealed. This situation will require that we take some difficult action. Mid-week, the Mental Conflict card shows that it will be difficult for you to move forward. You may experience some anxiety as you attempt to come to grips with the appropriate manner in which to deal with the person or situation uncovered at the beginning of the week. Remember, though, that you have all of the strength that you need to move forward. Once you do, things will resolve themselves and the energy will be released that will allow for positive change. You are reminded as well that you do not have to go through this alone. 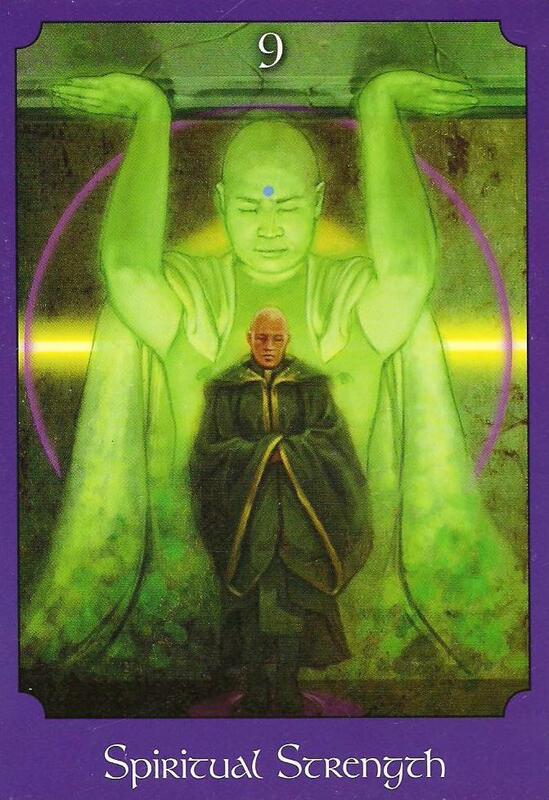 Listen to your intuition and seek counsel – you have everything you need to take right action. We end the week with the Moving On card. This is great confirmation that despite the difficulties that we experienced earlier, we have taken care of everything in such a way as to allow us to move forward in a positive and empowered manner. The card shows that we are stepping out of shadow and into light, and the compass confirms that we are heading in the right direction. We are embarking on a new phase of our journey, and not only are we ready for it, but we are looking ahead, intent upon discovering a new path and new adventures. 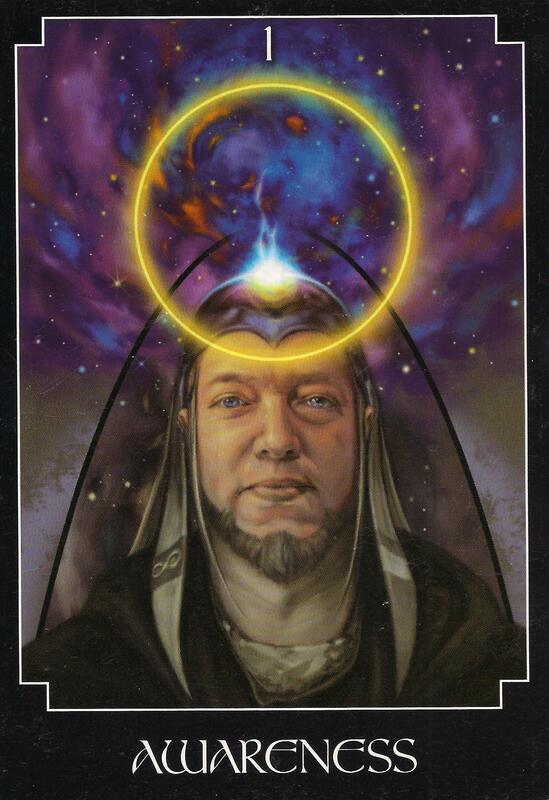 This week’s reading is from John Holland’s The Psychic Tarot. Categories: Uncategorized | Tags: Certified Angel Card Reader, Deception and Envy card, John Holland, Mental Conflict card, oracle cards, psychic readings, Psychic Tarot, The Crown Chakra card, weekly card reading | Permalink. 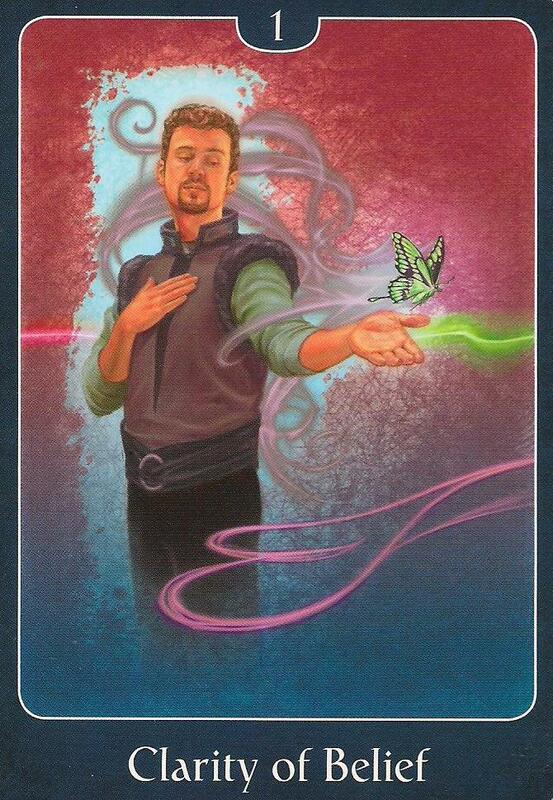 Weekly Card Reading: February 3-9, 2014 – Embrace Yourself! We have a different type of reading today, as I felt very called to use two decks. 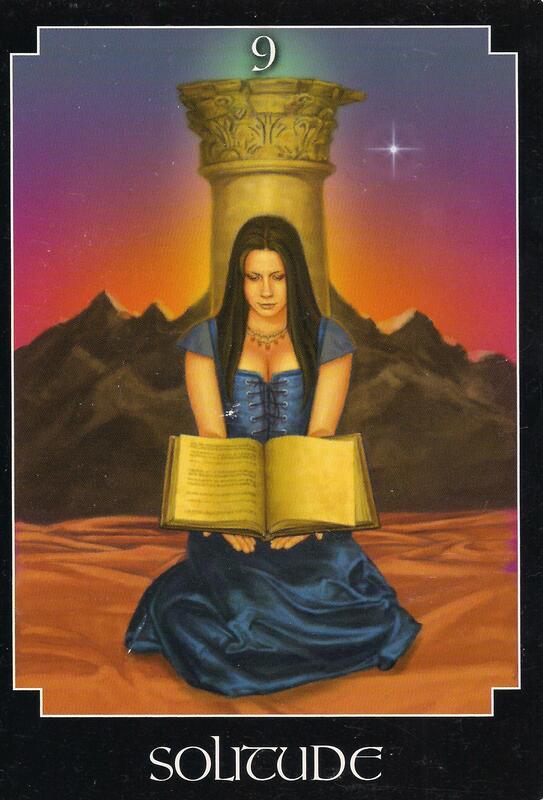 I used both the Wisdom of Avalon deck by Colette Baron-Reid and the Psychic Tarot by John Holland. These two decks worked together nicely as an embodiment of this week’s reading to provide us with a very insightful reading. We start the week with Positive Movement Forward and Joy. We are really making some progress in our lives right now, especially with creative endeavors. 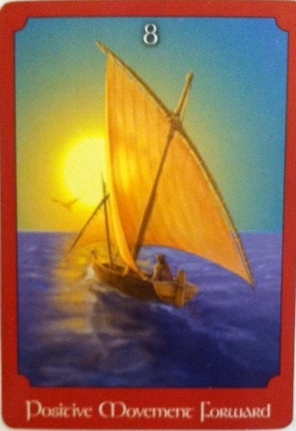 The number eight is a number of abundance, and this message shows us that we are creating our own wealth in all areas. The last few months have been intense, but we have been making steady progress towards our goals and dreams. We are being told now that we have entered a period of smooth sailing. The sun (star) is guiding us, so stay on course and remain focused to yield the best results. This naturally brings us joy and we are experiencing a lot of it right now. 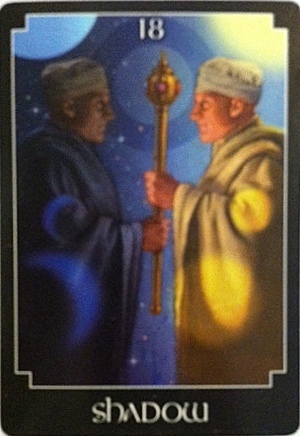 The sun is shown on a marker at the forefront of this card and the path is unfolding. This is not just just about the receiving of prosperity, but also about the sharing of it. Joy begets joy, so spread the wealth! We have a little bump mid-week, but it is nothing to worry about. I feel that for most of us, we are going to be asked to look at something that may make us a little uncomfortable. 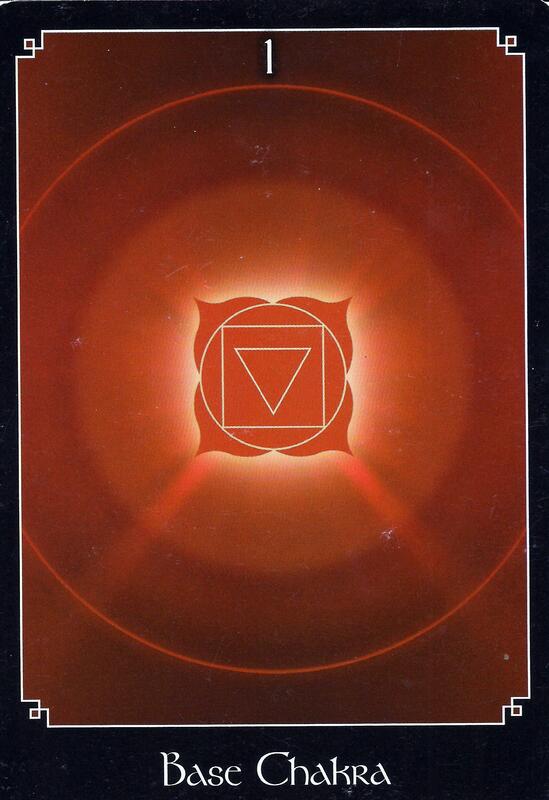 The Shadow card in this reading is about bringing that which is hidden to the light, and it is no mistake that the sun is a central part of the cards throughout the week. 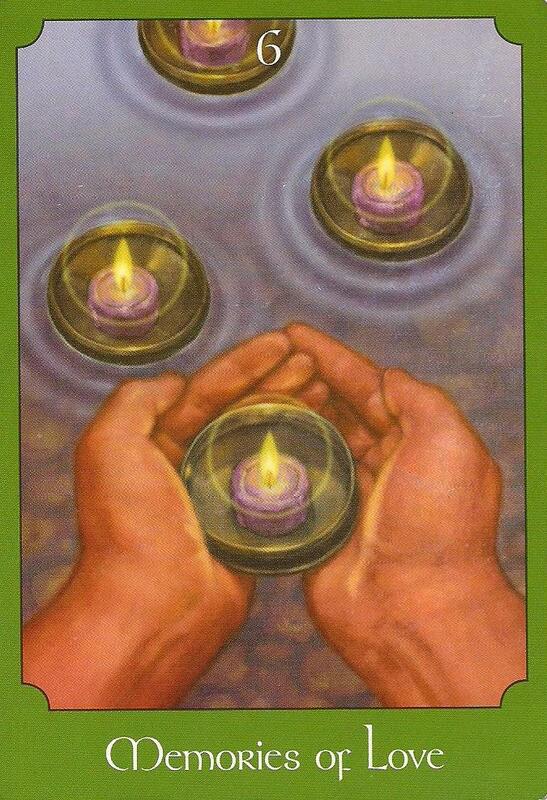 Put within the context of the entire reading, and along with the Forgiveness card, this release calls for us to be, above all, gentle with ourselves during the process. This week is about celebrating ourselves and experiencing the fruits of our labors, so with this in mind, be sure that forgiveness of yourself is at the forefront of whatever comes up. It is time to allow for buried resentments and anger to come to the surface so that they may no longer hold you back, and it is important to note that you do not have to dwell on them. Bring them to the light so that they may be quickly cleansed with the joy, forgiveness, and love that embrace you right now. We roll into the weekend empowered by our choices and the way in which we have been able to process our emotions and move on. We are entering a period of Hope and Love. How wonderful is that?! As we forgive ourselves and others, we are able to love more completely and fully. This love extends to all of our relationships and to how we interact in the world in general. Remember that we hold the power of our the sun within our hands. With this, we are able to transform all that we desire to light. Use the energy to dispel negativity and remain in your power. Through the Love card, we see that we are ascending and in the Hope card we are shown our power – use it wisely and love will surround you. The Hope card can also indicate that a wish may come true. 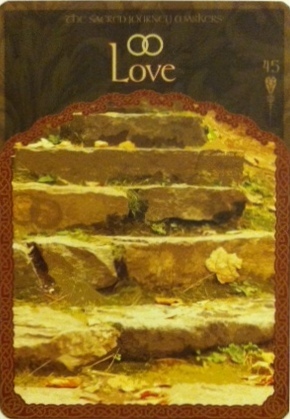 Coupled with Love, it may mean that your desires around relationships will now come to fruition. Be open over the weekend to welcoming in new opportunities and experiences so that you are in a place of receptivity and connection. Categories: Uncategorized | Tags: Certified Angel Card Reader, Colette Baron-Reid, John Holland, oracle card reading, psychic readings, Psychic Tarot, weekly card reading, Wisdom of Avalon Oracle Cards | Permalink.